My bathroom journey has hit a pot-hole, and I’ve learnt a very important lesson. Resources. Check their availability. Darn! This is the first thing you learn at marketing school! Just to give you some spiel: Your resources (Men, Money, Minutes) are vital for a project’s success and I’m missing my man. More precisely, I’m missing a builder. Through some freakish builder drought in the central Reading area, I’m without a burly pair of arms and plumbing knowledge until the end of February, so that little project is on the back burner. What’s on my mind instead? The dining room! 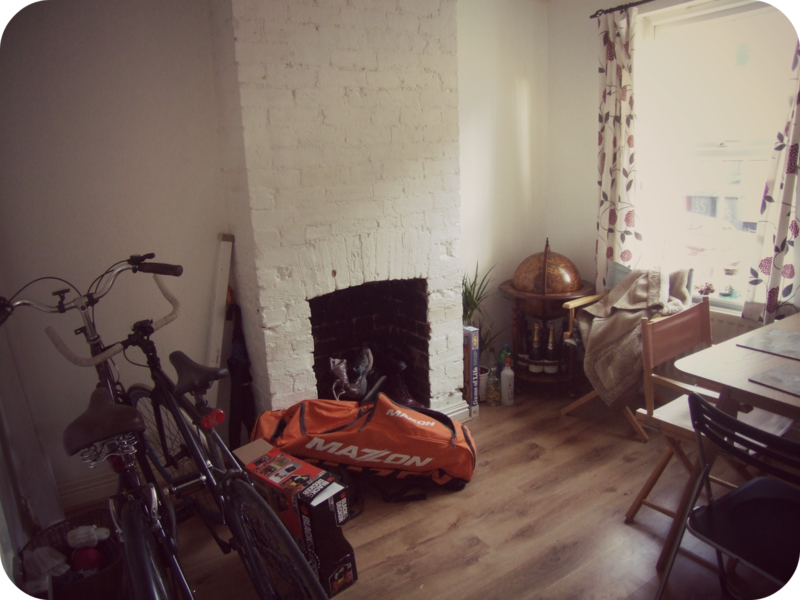 I decided to put my dining room in the front room of our little terrace, which is actually furthest from the kitchen. Why? Well, that room is the first you pass when you come in off the street, so it's the most likely to become a dumping ground. 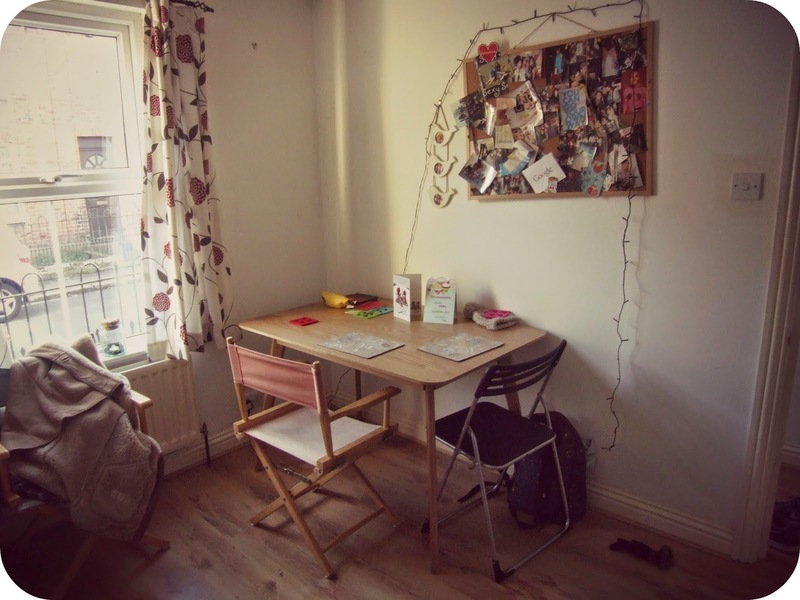 The dining room is the least used room in our house - T and I have good intentions, but often end up eating on the sofa. Therefore, a little clutter in here will help us maintain order in the rest of the house. I plan to create a beautiful yet informal space that we can enjoy, and will remain practical too. looking from the window: they need a home! Buying a house is sometimes a matter of painful compromise. Not between you and your partner, either (let’s face it, if you’re making serious sacrifices, you probably shouldn’t be buying together) – I mean in terms of want vs need. I wanted a beautiful, clean space in which I could entertain and have fancy-schmancy dinner parties… but what I needed was somewhere dry, secure and convenient in which to park my noble steed. 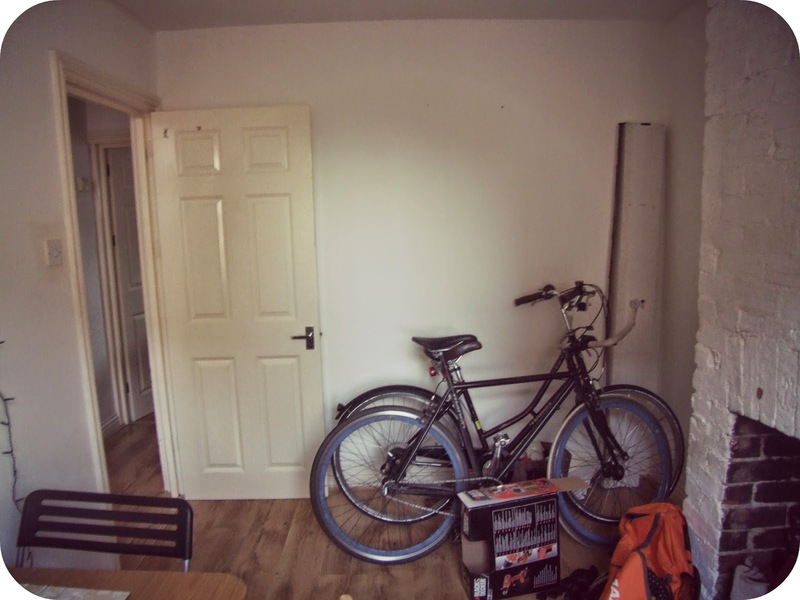 Hi Bikes, meet dining room wall. After being inspired by many an apartment therapy blog post (if it’s good enough for sophisticated new-yorkers, it’s good enough for us), we decided that the best place to store our biggest babies was right here in the house. I actually think it’s rather beautiful (although, grandparents tend to disagree). 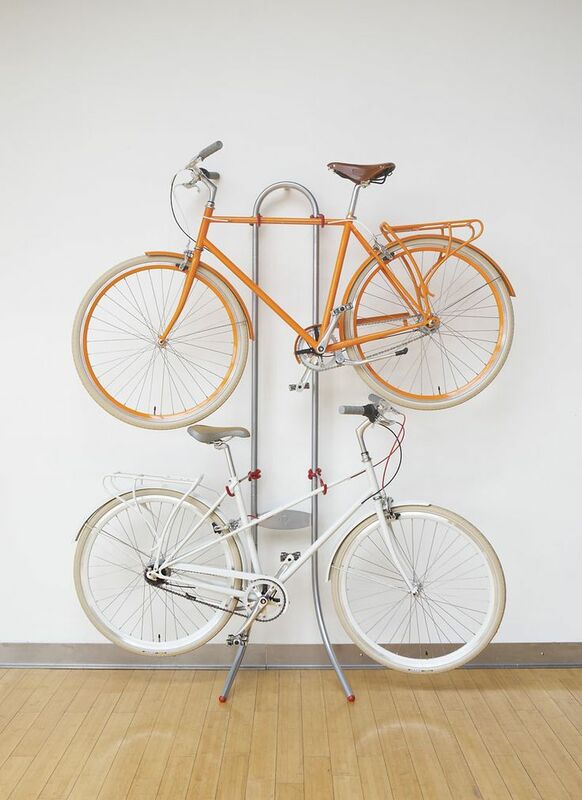 However, we did NOT have a good experience buying a bike rack. 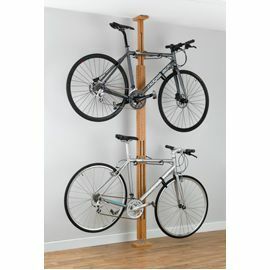 T purchased a GearUp Oak Rak (Floor to Ceiling) bike rack from Amazon at the beginning of October. It was very expensive (more than I wanted to spend) and it took a long time to arrive. I was so angry when we opened the box. Parts were missing, and our countless attempts since to contact Amazon/the seller and get the missing parts have been futile. I do NOT recommend this seller. 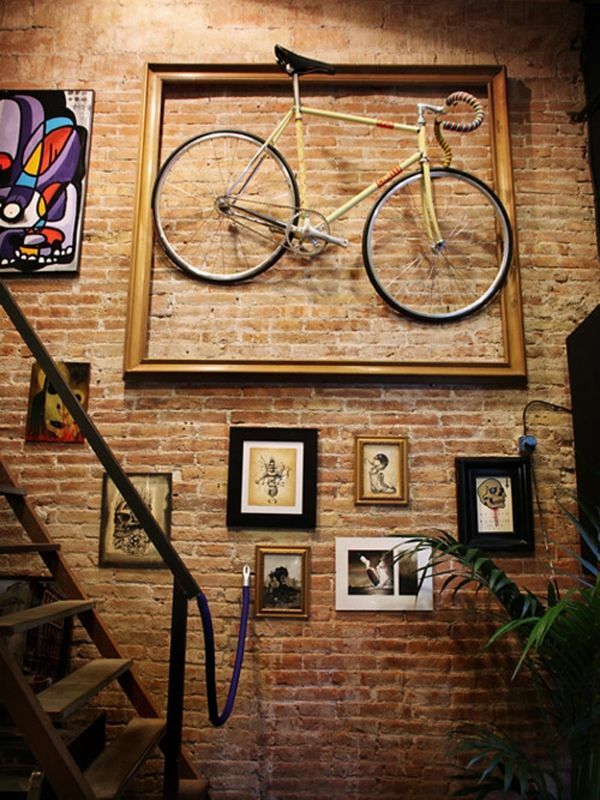 The goal is to have the bikes on the wall, as seen in the right picture, but.... yeah. we're still waiting. We also have a storage requirement. The corridor from my front door is, in my opinion, too narrow to hang coats in, pile shoes up, or dump your keys. ‘Landing strips’ are a very desirable (or essential, depending on your source) feature in a house now - no longer the hallmark of glamour models or the pages of Cosmo. 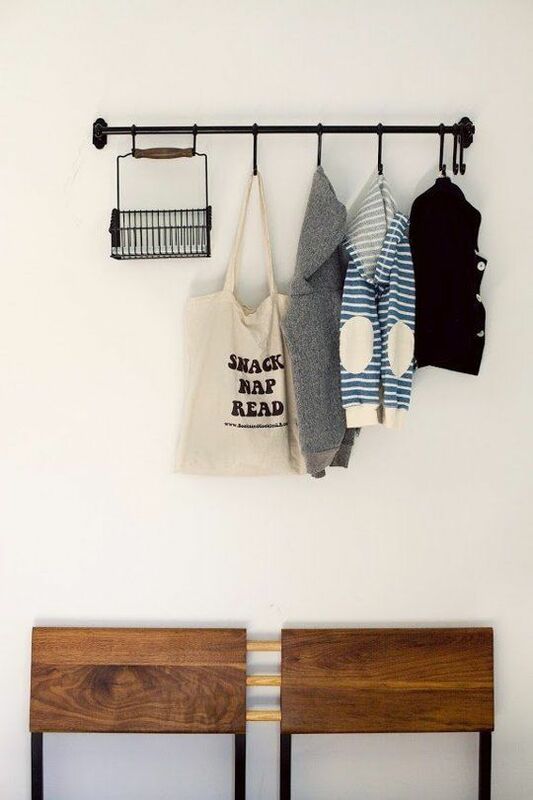 That's a term for a conveniently placed coat rack and table on which to rest your hat/keys/handbag when you enter your home, as seen to the left of this text. I hope to build that in to the dining room, creating a clever duality between storage space and entertaining space. I'd love to hear anyone's thoughts on making the most of a space like this!